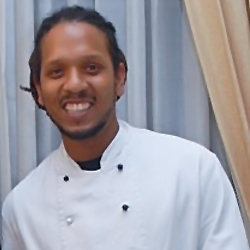 Trinidad Chef Hasan DeFour has a new series Country Cooking, on TEMPO. During the first episode Chef Hasan joins Pure Lime Chocolate Mas for Notting Hill carnival, learn how to make some Caribbean street foods, the perfect bake, pelau, pineapple chow (in sauce), corn soup and a whole heap more. In upcoming episodes Chef Hasan interviews Rohan Marley in Amsterdam, cooking up in the Trinidad Olympic Village, jamming with Destra and much more.